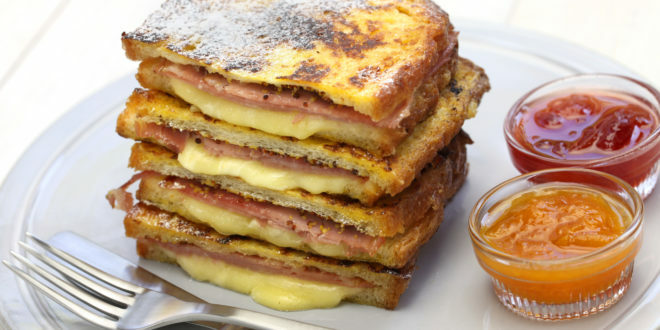 This French Toast Monte Cristo Sandwich recipe is prefect for brunch. 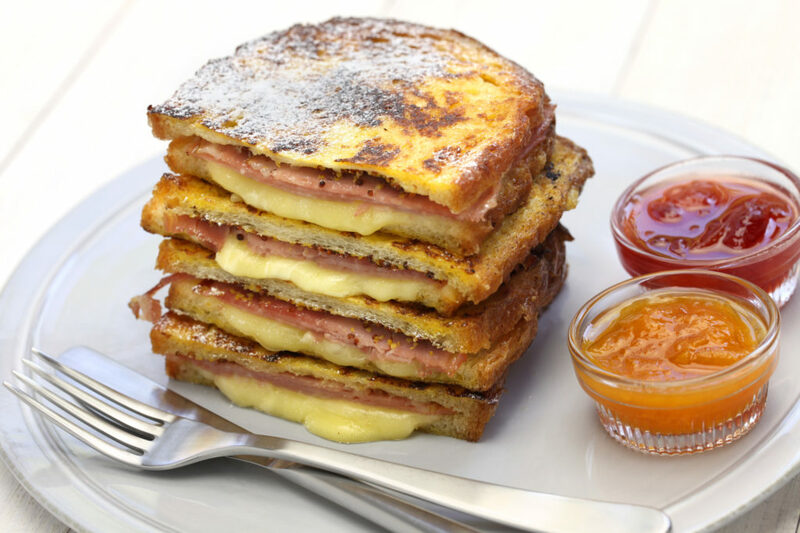 Monte Cristo sandwiches are basically a cross between grilled cheese and french toast, with ham added. Think of them as a french toast grilled ham and cheese. 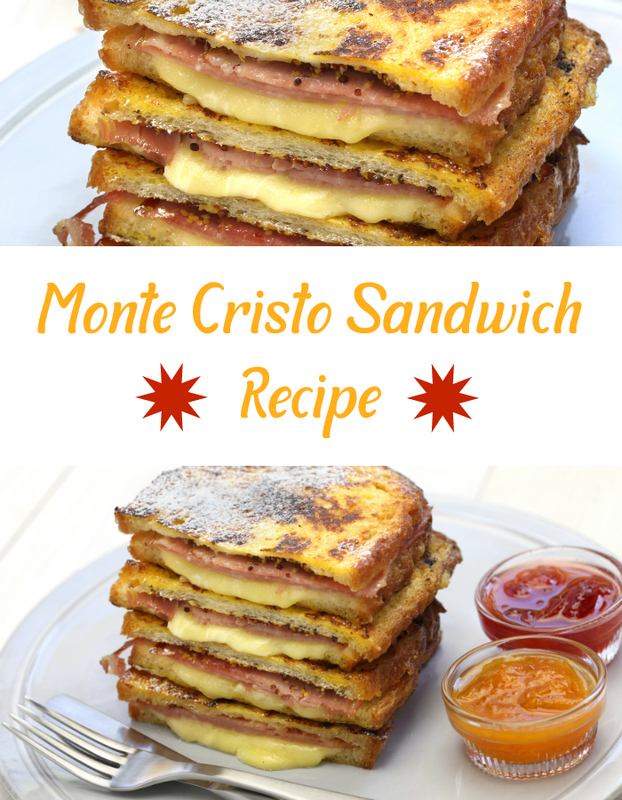 You can make a Monte Cristo sandwich with a variety of cheeses. 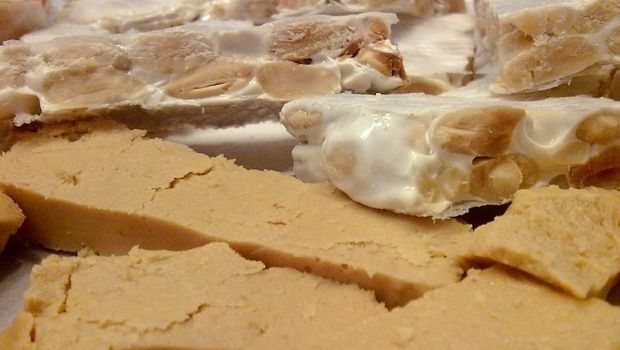 This recipe uses Emmentaler cheese, but you can easily substitute something easier to find such as Gouda, Havarti, or Cheddar. 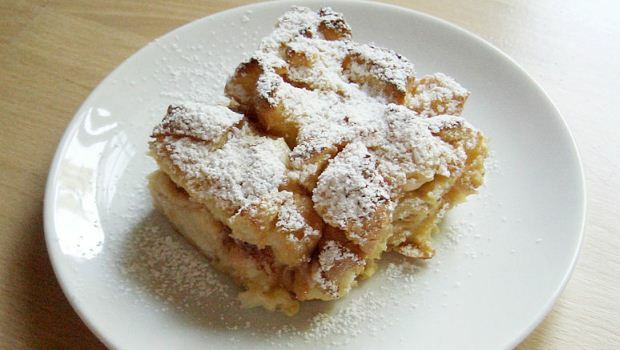 Monte Cristos are traditionally served with jelly, often a red currant jelly. 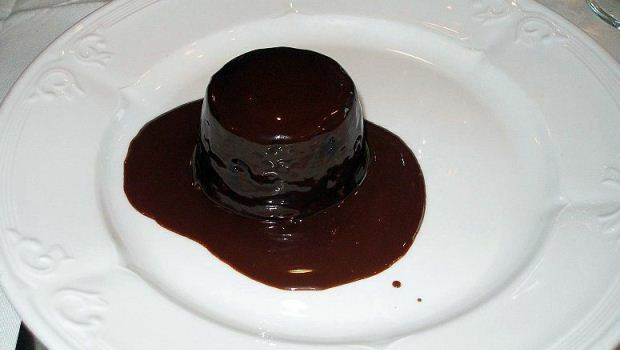 Again, you can substitute any jelly that you like. I personally tend to like peach or apple jelly. 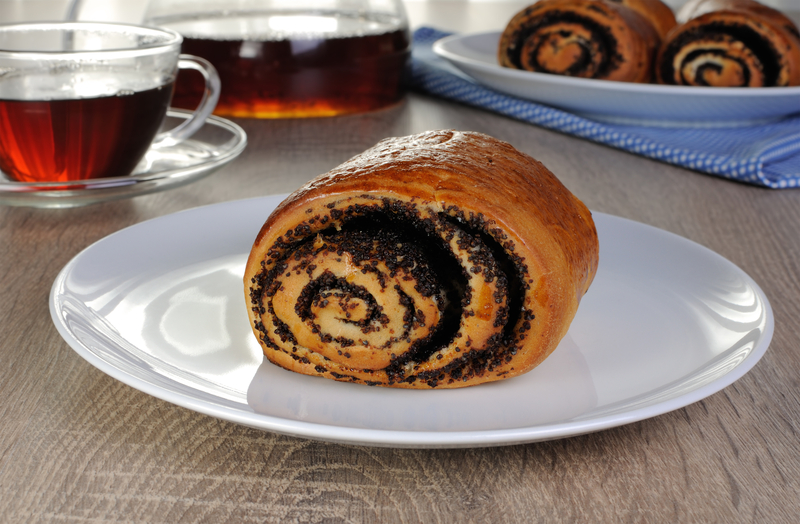 You can also serve these with maple syrup. 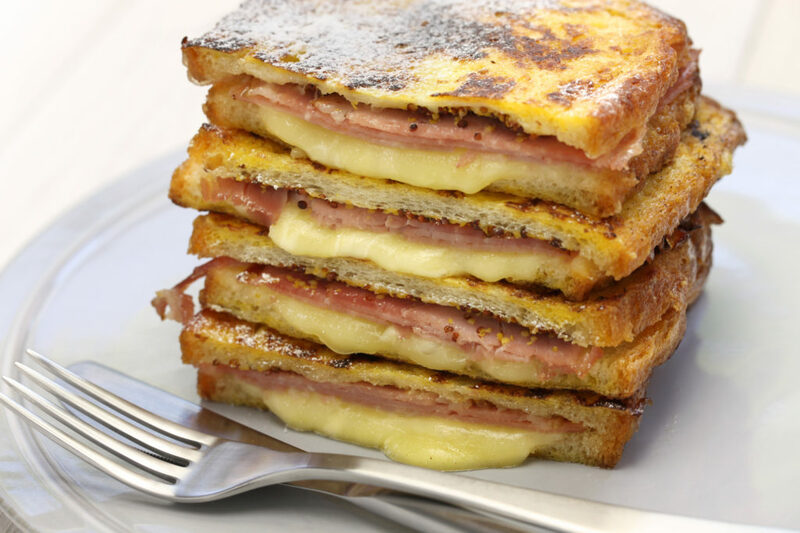 Enjoy a French Toast Monte Cristo Sandwich for brunch, breakfast, or lunch. Even dinner! 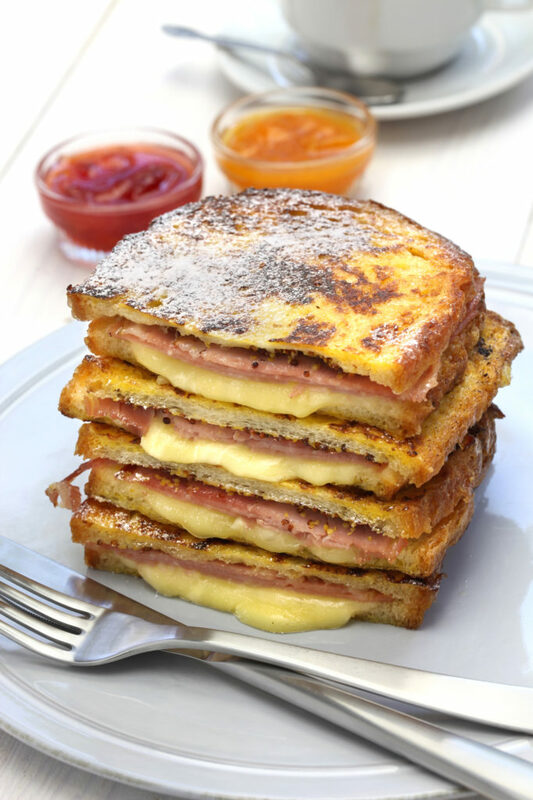 Monte Cristo Sandwiches: these classic french toast monte cristo sandwiches are perfect for brunch! Pour the milk in a shallow dish and crack the egg into it. Sprinkle a dash of seasonings into the mixture and whisk it thoroughly until the ingredients blend together to form a uniform, pale yellow mixture; set aside. Take 2 bread slices and smother one side with 1 tsp of mustard. Top it up with turkey as well as ham slices and pile up half of the cheese over them. Place another slice of bread over the final layer of cheese on top of each mustard-coated bread and give each sandwich a gentle press to make them more compact. Add a knob of butter into a large skillet and melt it over moderately low heat, until it foams. Dip a sandwich into the whisked mixture and flip it over to coat either side well with the latter. Place it onto the skillet and coat the other sandwich similarly. Fry both of them for about 4-5 minutes, untouched, until they turn golden brown and turn them over to fry the other side in a similar fashion. 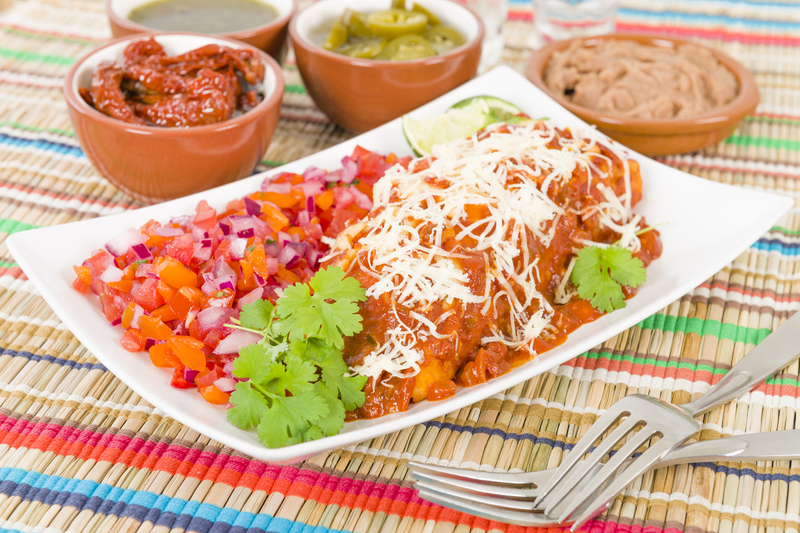 Once the cheese melts, slide the sandwiches onto serving plates and sprinkle powdered sugar on top. Add a dollop of red currant jelly and peach jelly (or jelly of choice) beside each sandwich and serve right away. Add a dollop of red currant jelly beside each sandwich and serve right away.